This 15.01 Acres has a tentative subdivision map approval for six (6) residential lots, approx. 2.5 acres each. 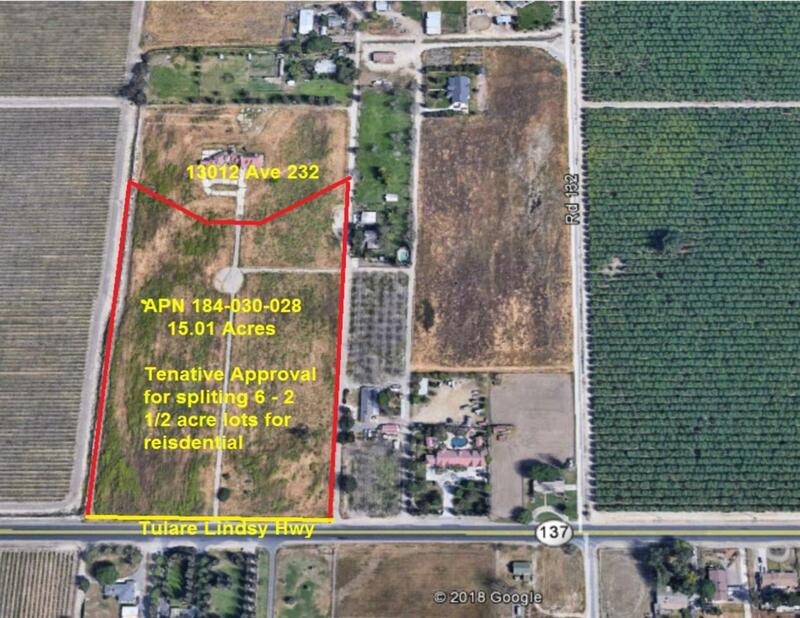 Property is located 2 miles east of Tulare on the Tulare-Lindsay Highway (Ave 232). The property is located in the front of the residence at 13012 Ave 232, Tulare, CA 93274. Listing provided courtesy of Manuel Ortiz of Manuel Ortiz Jr., Broker.